1. So easy, just use some berries and wiped cream to make your pie feel patriotic. 2. 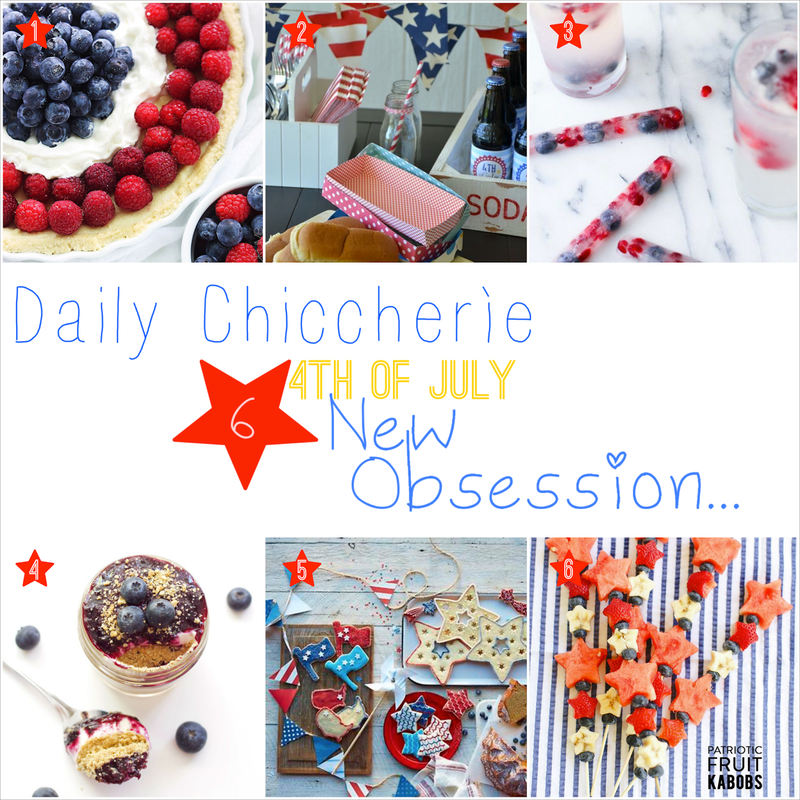 Super cute patriotic soda bottles labels, hotdogs trays and a banner DIY form The Idea Room. 3. I love this DIY from Momtastic! Freeze blueberries, raspberries and pomegranate seeds in water...once frozen add the patriotic ice-cube to drinks for a cool red, white and blue effect. 4. Cheesecake in a jar, cute idea for a 4th of July picnic with friends. 5. Stars and flags cookies, adorable! 6. Simple and fun idea from Style Me Pretty: with a star cookie-cutter cut watermelon, bananas, strawberries and slide each pice of fruit in a kabob alternating with a blueberries.